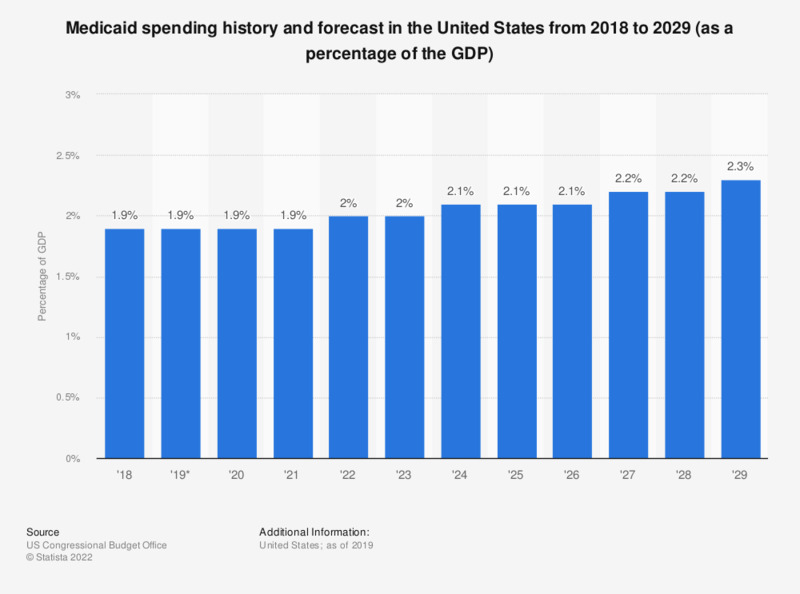 The statistic represents the total Medicaid spending projections from 2018 to 2029, as a percentage of the gross domestic product. Medicaid spending totaled to 389 billion U.S. dollars in 2018, which was about 1.9 percent of the U.S. GDP. * Data from 2019 on are projections.